Happy Birthday You are Loved! Hello, Hope you are having a great day so far! 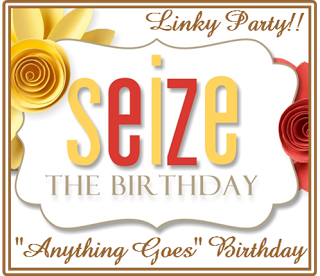 We have another challenge beginning over at Seize the Birthday and it’s time for Anything Goes. Just remember it must be a Birthday theme. I will confess I have had this card on my computer desktop for quite some time just waiting to be posted. 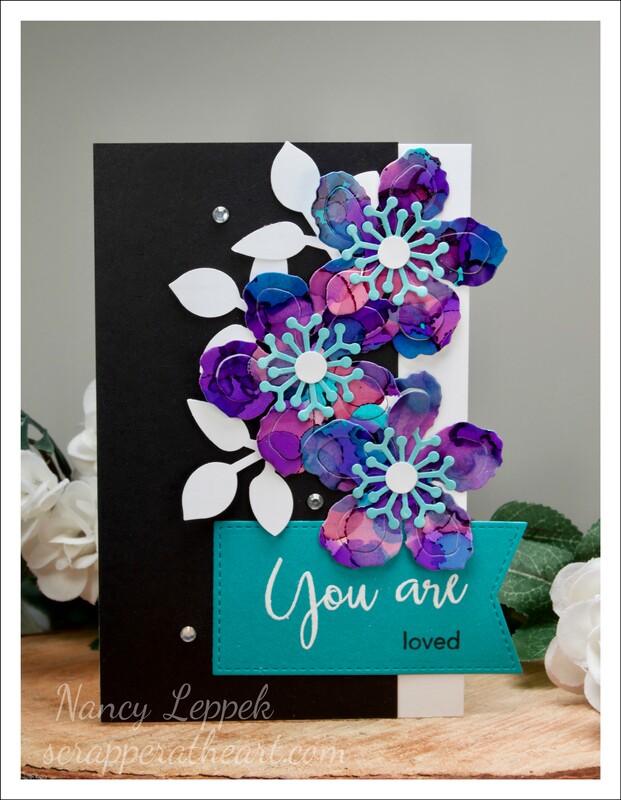 I stenciled the background with my Oxide inks, the flowers and scalloped rectangles are MFT, the sentiment is a bit of this and that. I used wink of Stella all over the flowers, but it’s not noticeable in the picture. 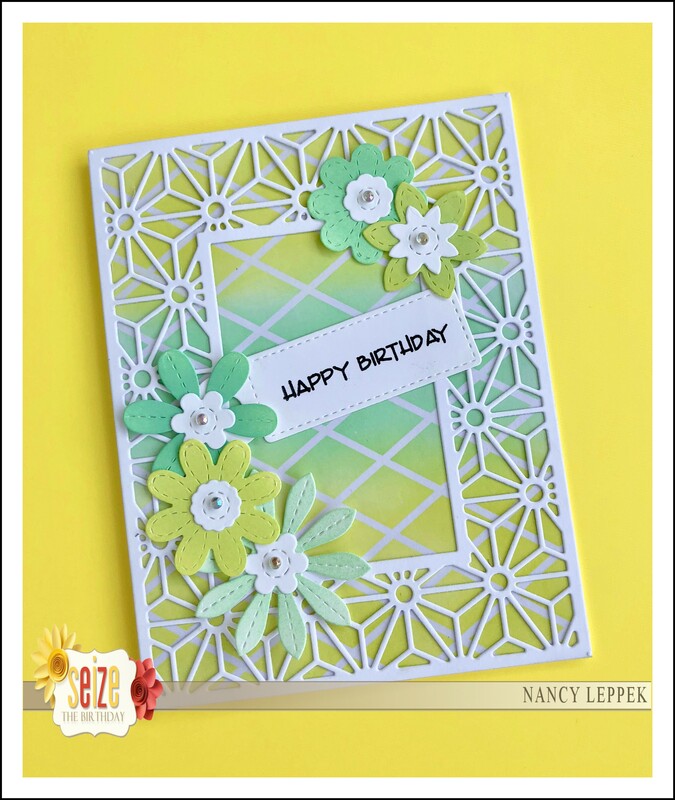 Categories: Cards | Tags: Card making, Cards, Happy Birthday, my favorite things, rubber stamps, stamping, stencils | Permalink. 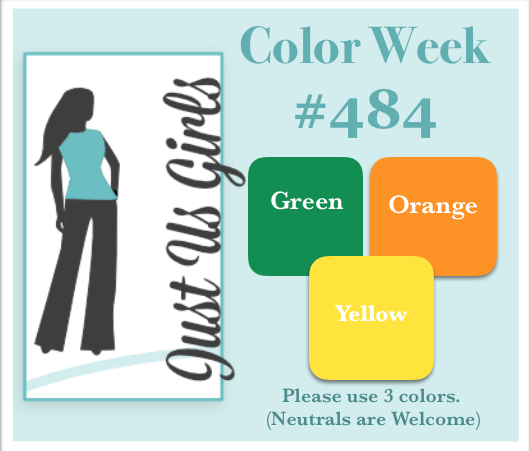 Hello, Seems like forever since I posted last as the last few weeks were pre-scheduled posts. This is me coming at you LIVE…LOL. I am back from my second trip, this one was to California to visit my son and daughter in law. They spoiled Dave and I rotten and we got to see quite a lot. I am still reeling from all the fun we had and saying goodbye is always the tough part. I always cry quite a lot on the plane ride home (lack of sleep doesn’t help) and then for a few days off and on, but now that I am back to work, back to a routine, I have sucked it up and I am good to go. LOL. Until next time anyway. 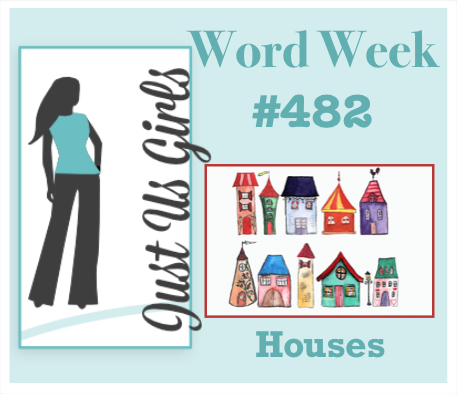 Today’s card is for Just Us Girls and the word is Houses. 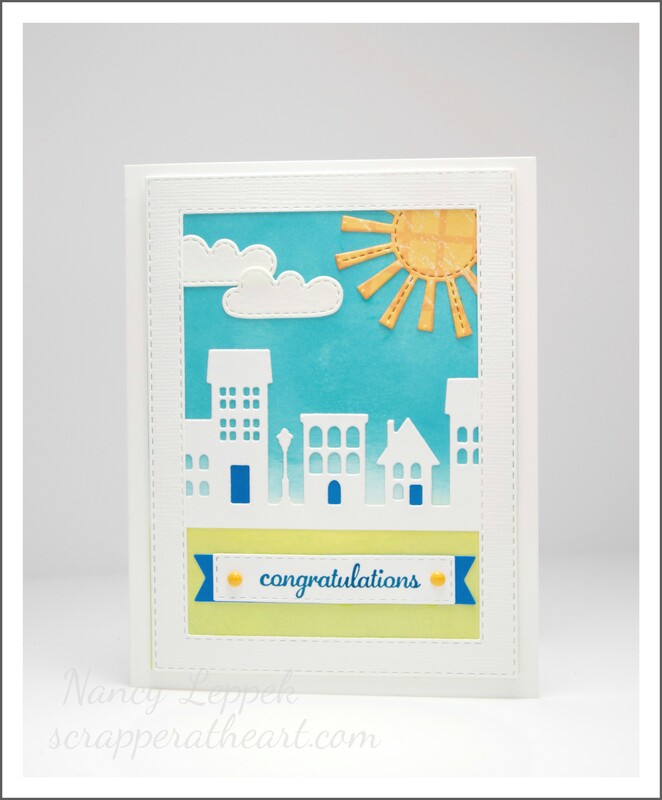 It just so happens that I needed a Congrats on your new home card for my nephew, so the timing was perfect. 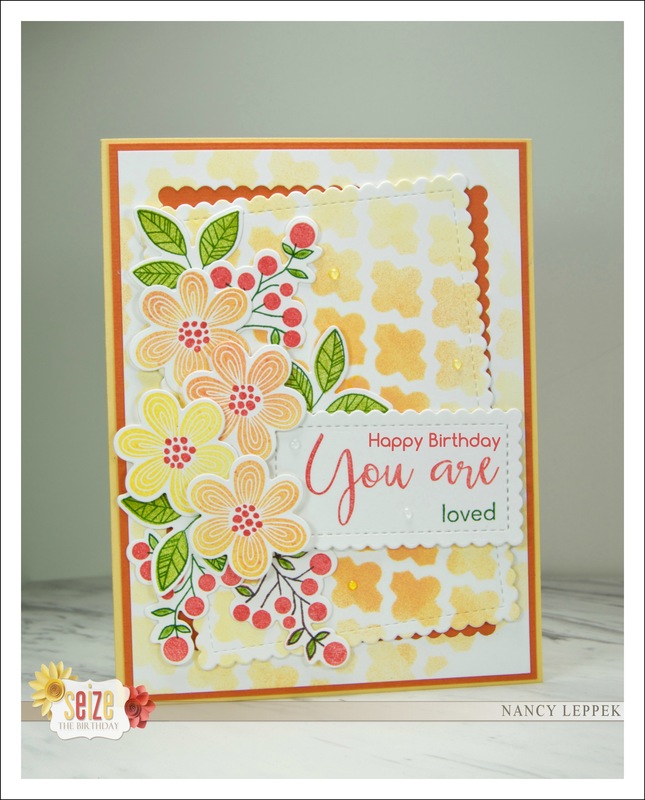 Here are a few details….First, I took my Oxide inks and blended my background, next I cut out the house die (from Taylored Expressions), sun and clouds( from Lawn Fawn) and the rectangle frame and sentiment(from SU.) Put it all together and I was done. Hope you will come by JUGS and check out what my talented team and our new Guest Christine Perez have done as well. Welcome Christine, we are very glad to have you with us! Below are a couple pics from our trip. 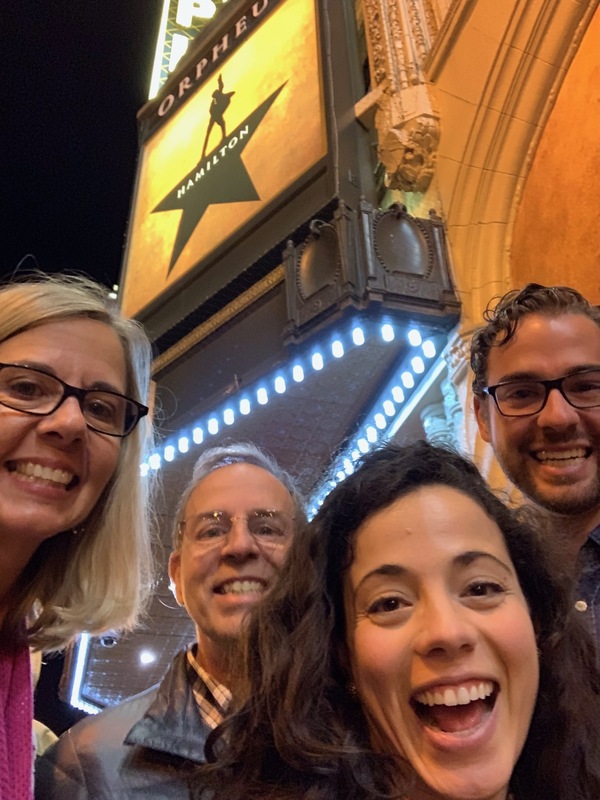 Tyler surprised us for our 27th Anniversary and took us to see Hamilton. It was sensational!! 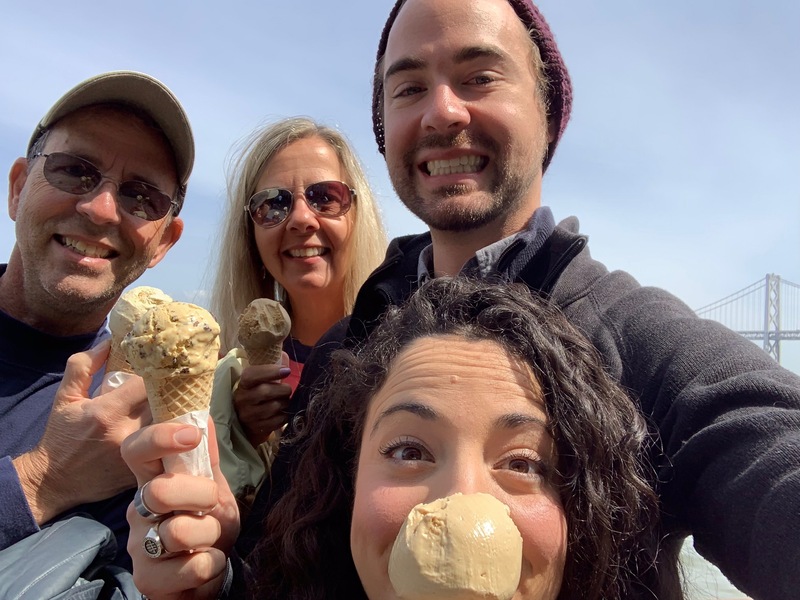 The ice cream picture was also in San Fran. 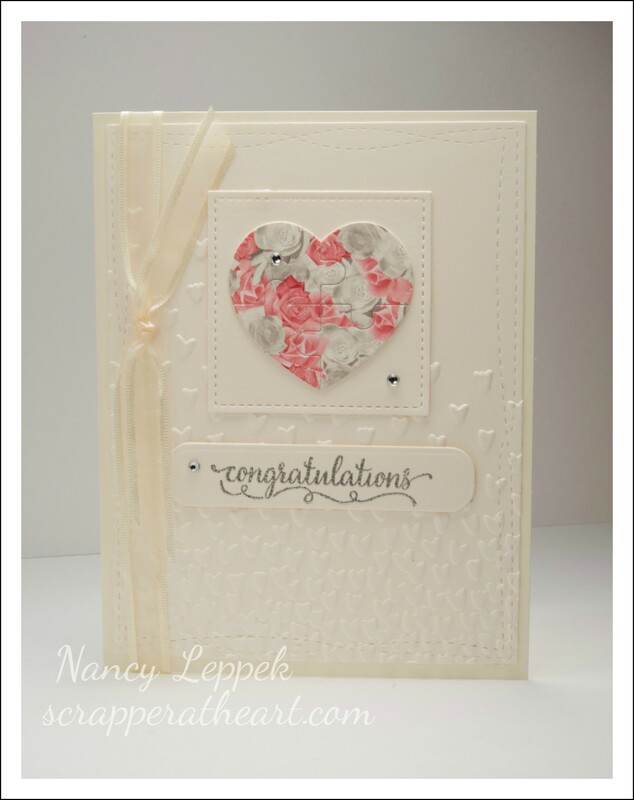 Categories: Cards | Tags: Card making, Cards, Congratulations, New Home, rubber stamps, stamping | Permalink. 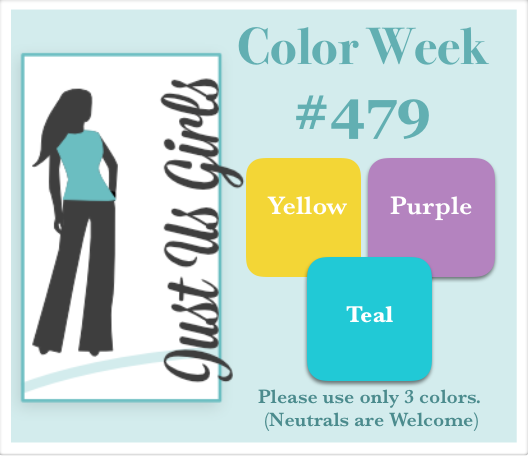 Hello, Here we are once again with another week gone by! 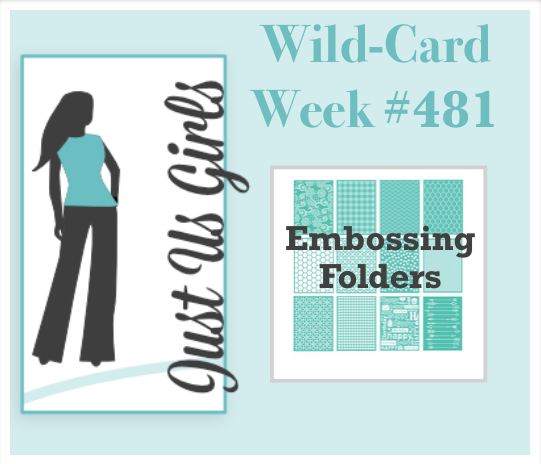 Today’s challenge at Just Us Girls is to use an Embossing Folder. Easy huh? I paired my embossing folder with this fun puzzle piece heart from SU. The sentiment is theirs as well. It was heat embossed. Isn’t that paper so pretty! It’s Bo Bunny I do believe. 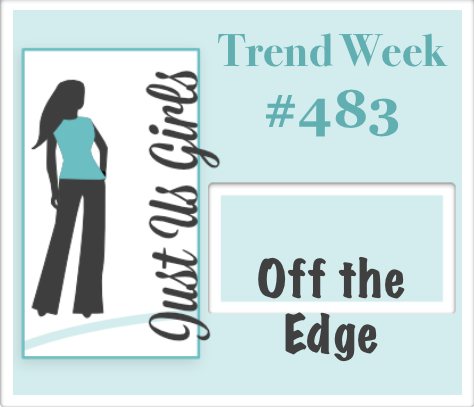 A Big Thanks to Greta for being a fabulous Guest this month. 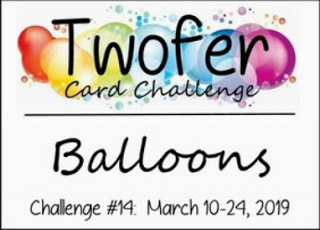 Categories: Cards | Tags: Card making, Cards, Congratulations, rubber stamps, stamping, Stamping Up, wedding card | Permalink. 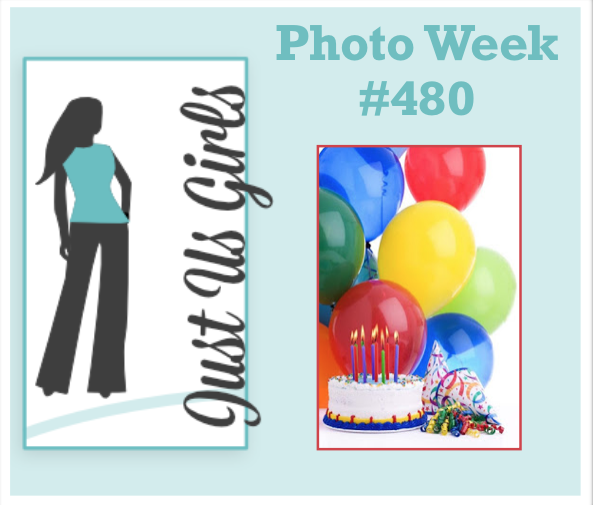 Personal Post followed by cards! Hello, Hope this post finds you well! We just got back from a quick trip to Charlotte, NC to attend my Godfather/Uncle’s funeral. It was a complete an utter shock, as he passed away suddenly in his sleep. Have you ever wanted to do something so bad and you just knew you were supposed to be there to offer your love, support and not to mention to say your final goodbyes? That is how I felt this past week. My Aunt and Uncle came to my son’s wedding about a year and a half ago and I was so grateful that they made the trip down and now even more so. Amongst all the tears and sorrow the last few days, it was great to reconnect with all my cousins and their extended families, to talk with my Aunt Jean one on one, and give her all the hugs that I possibly could. I follow my cousins on social media which is great but actually having the chance to see all of my cousin’s spouses and children in person was really awesome. 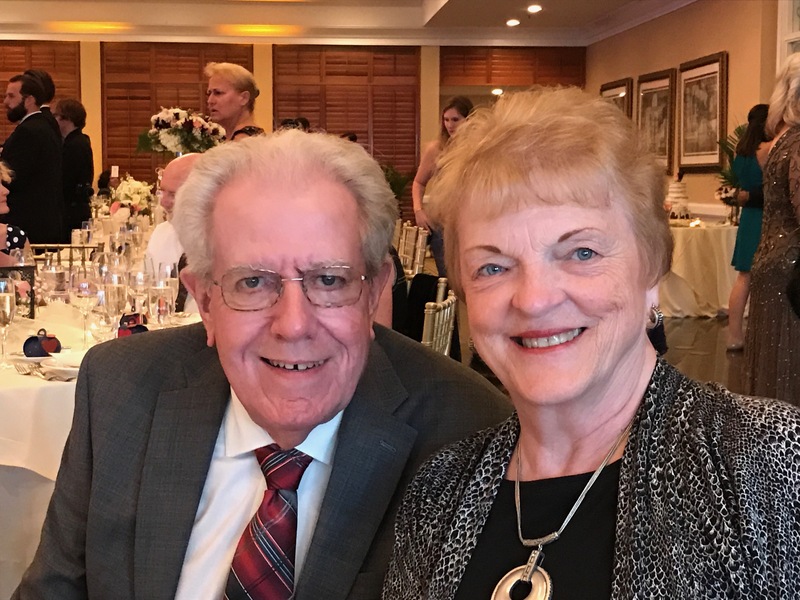 My Uncle Chuck and Aunt Jean did an amazing job raising their kids, and you can see that task being passed down to their kids as well. 3 out of the 4 children live in different parts of the US and not Charlotte, so it’s not often we all get to see one another. When Dave and I arrived on Sunday, the house was overflowing with people and love, it was a Home! They both played such an important role in their community and that was evident by the food being brought in, not to mention all the visitors. The Visitation and Mass were so very touching, and as I sit here reflecting on the past few days, I feel honored to have had such an amazing man as my godfather. 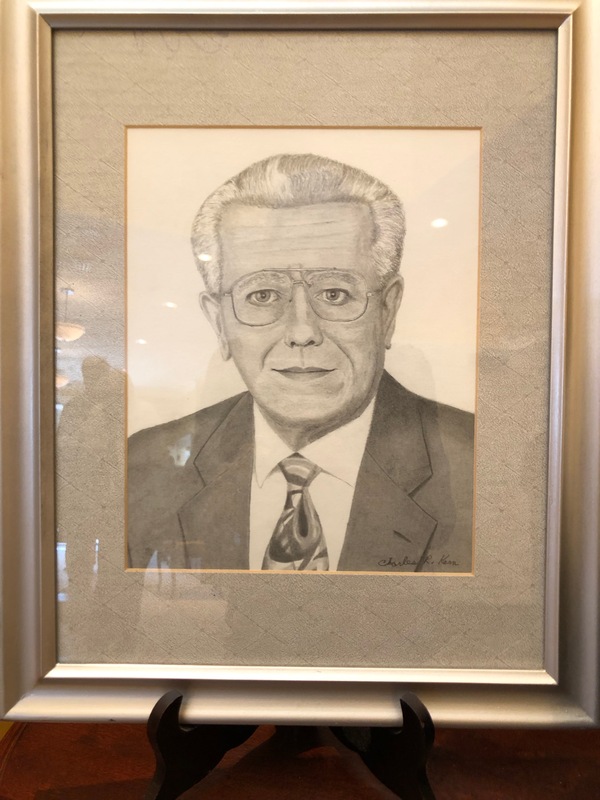 Dave an I always had an extra special connection with him, as he was a principal and superintendent of many school districts during his long career. I could go on and on as his resume is impressive. My Uncle was quite the artist as well. Below there is a self-portrait that he drew that was on display at the visitation, along with a picture of the two of them at the wedding. You will be sorely missed Uncle Chuck! Rest in peace and say hello to mom for me. 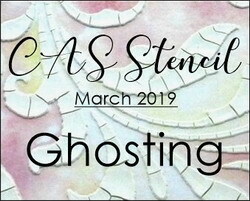 Now onto my cards, The cards above were inspired by the Twofer Challenge this month along with the CAS Stencil Challenge where they have asked us to try the ghosting technique. I had a great time making these cards before my trip, it was a great distraction. 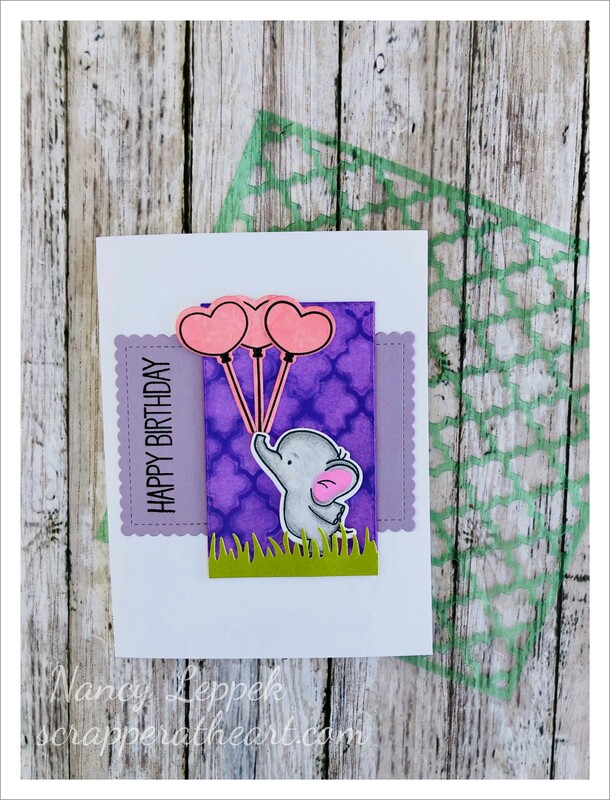 On the ELE card….I got a bit heavy handed with my ghosting technique, but it sure is fun and easy to do. 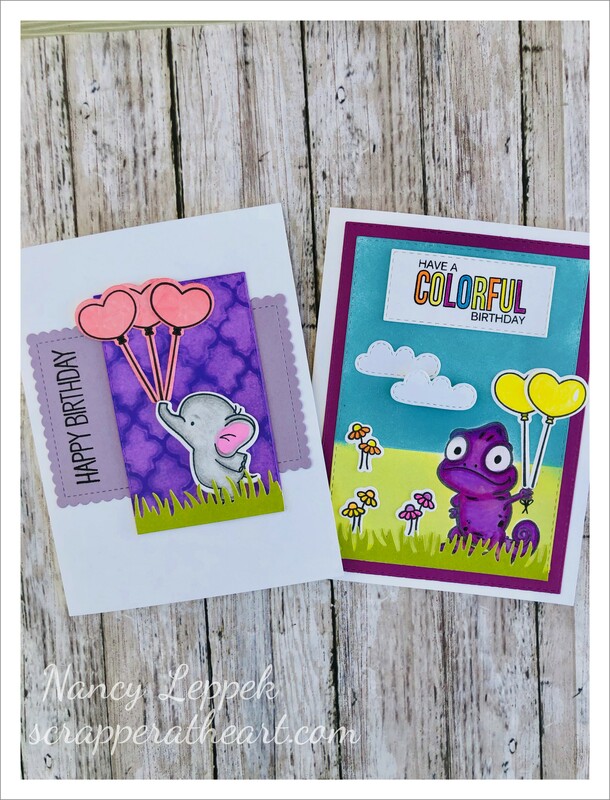 Not sure you can tell but I even did the ghosting technique on the balloons as well using a different stencil. All supplies are MFT, except the stencil. Hello, Hope your day is off to a great start! 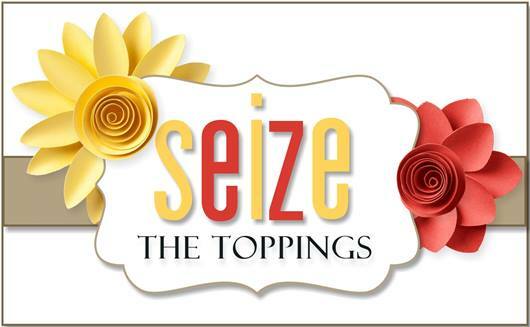 Today starts a new challenge over at Seize the Birthday! Our topping that Vicki has chosen is Dots and Stripes. I had a great time making this card! 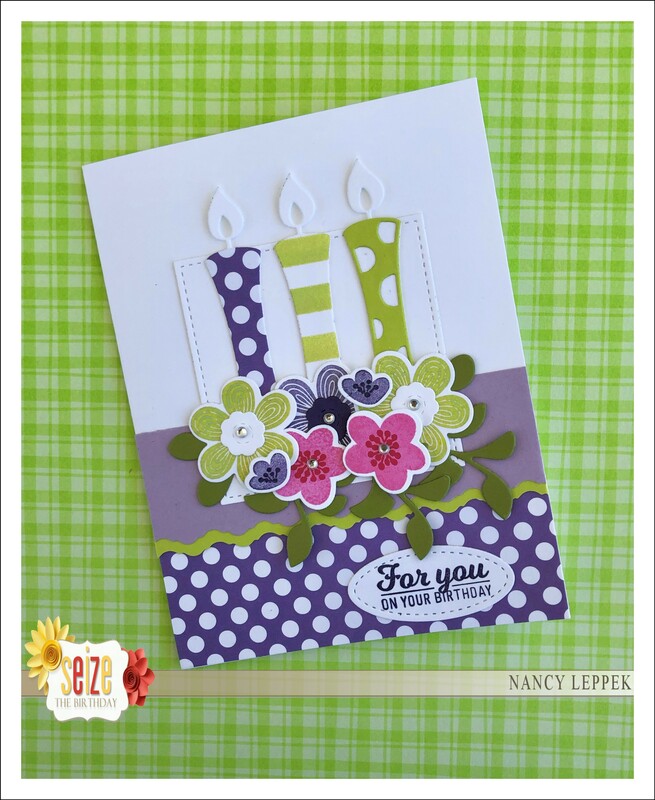 I paired up some of my MFT flower stamps with some Elizabeth Craft Designs candle die-cuts that I really love, and some fabulous polka dotted paper. 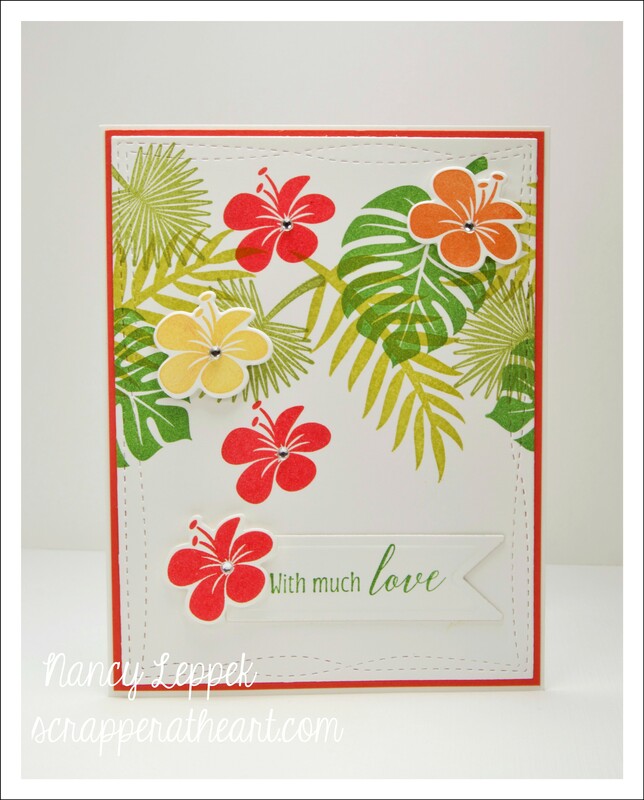 In addition, the die-cut leaves are Verve and the sentiment is SU. It has some pop dots for dimension as well. Before I go I would like to welcome the talented Tenia to STB, as she is our next Surprise Party Guest for the next two months! Tenia, we are all so thrilled to have you joining us! 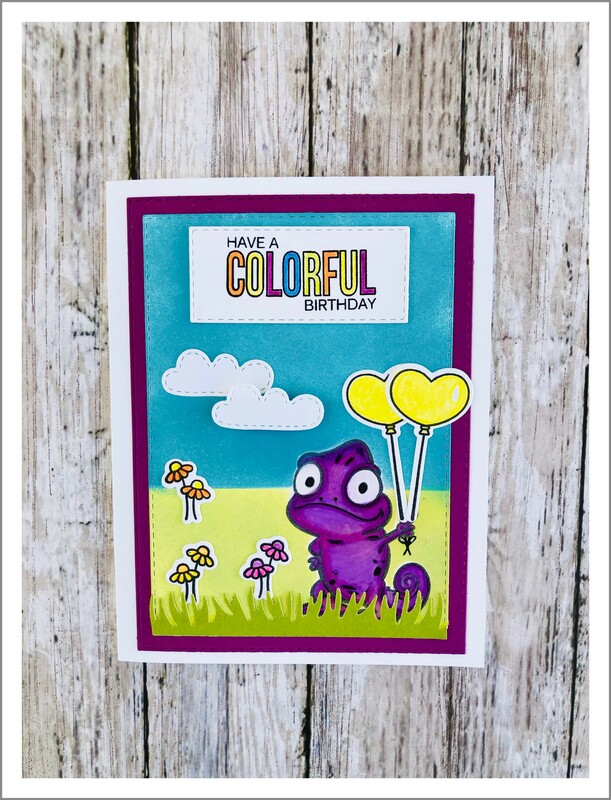 Categories: Cards | Tags: Card making, Cards, Happy Birthday, my favorite things, rubber stamps, stamping, Stamping Up | Permalink.